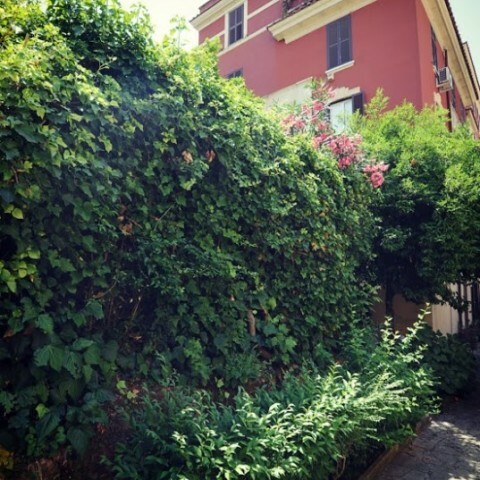 In the quiet, central and green residential area of San Saba – Porta Ardeatina, near the majestic Aurelian walls, this 68 sq. 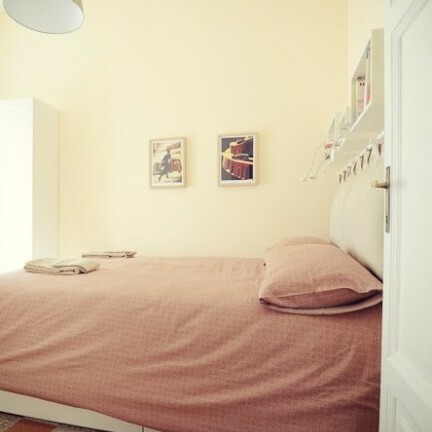 m. (732 sq. 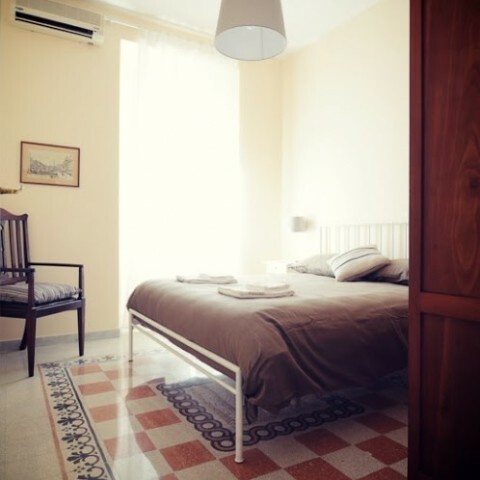 ft.) apartment is on the second floor of a charming villa built in the 1930s, surrounded by a scented garden of orange trees. 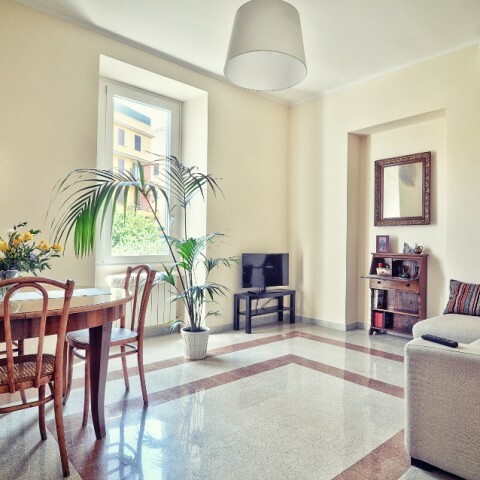 If you are looking for a peaceful residence in the heart of the archaeology, history, art and ‘Great Beauty’ of Rome, “Villino Rosso” is the ideal place to stay. 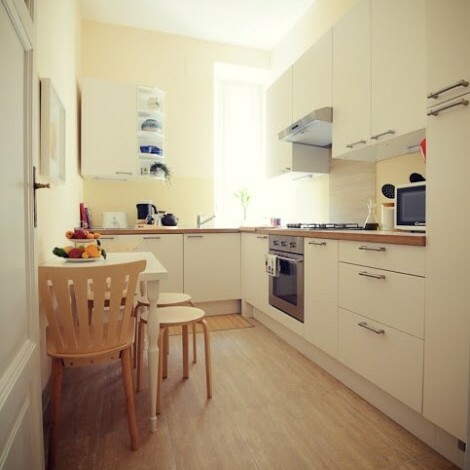 Far from the traffic, hustle and bustle of some areas of the city, the newly renovated apartment (June 2014) is bright, comfortable and decorated with pieces of period furniture. 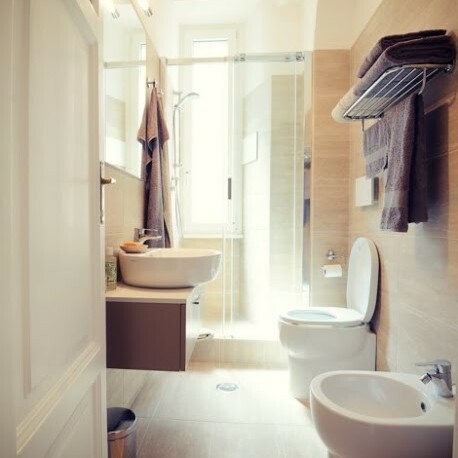 It is a convenient starting place to explore the many attractions of the eternal city and a cosy place to relax after sightseeing.